This is a reminder of the very serious and devastating consequences that can happen when working with reactive chemicals, such as pyrophorics. Please read the story and forward it to others who may be working with reactive chemicals. The recent death of a research assistant at the University of California, Los Angeles (UCLA) from injuries sustained while working with a pyrophoric chemical have led to internal and external scrutiny of the university's laboratory safety procedures. The tragic event, which involved t-butyl lithium, a compound that spontaneously ignites on exposure to air, could have widespread implications for academic chemistry departments. Phifer notes that several important lab safety rules appear to have been violated by the victim, a 23-year-old research assistant employed at UCLA since October. For example, she was working alone in the lab, which is prohibited, and it appears that she was not wearing the appropriate protective clothing. UCLA had told its researchers that they could work during the holiday break shut down for 'critical research needs,' and on 29 December she was working with a bottle of t-butyl lithium dissolved in pentane. While using a syringe to withdraw a quantity of the reagent, it seems she accidentally pulled the plunger all the way out, introducing air and creating a flash fire. The incident raises questions about her training and supervision. 'She was not familiar enough with the material and delivery means to be doing the experiment on her own,' says Phifer. The university believes she was wearing nitrile gloves, safety glasses rather than goggles, and a synthetic sweater with no lab coat. When the fire ignited the gloves and the sweater, she sustained second and third degree burns over 40 per cent of her body and was immediately hospitalized. UCLA was notified on 16 January that she had died of her injuries. After the incident and before her death, UCLA launched a full review of its laboratory safety protocols. The review is in progress, and the university says it is also cooperating with a separate investigation being conducted by state regulators at the California Division of Occupational Safety and Health, also known as Cal/OSHA. The investigation is likely to take two to three months, the regulator says, and any citations could bring fines ranging from $500 to upwards of $250,000. 'I would not be surprised if Cal/OSHA fines UCLA if, for example, the school can't document appropriate training,' Phifer adds. 'My hope would be that this raises awareness about the dangers of working in a chemistry lab,' states Robert Latsch, an environmental safety and compliance officer at Case Western Reserve University's Department of Occupational and Environmental Safety. He says the UCLA accident was preventable and hopes it triggers at least an evaluation of chemistry lab safety procedures at his university and others. *Taken from Rebecca Trager, US correspondent for Research Day USA. Bold and underlining added. The victim's name has also been removed. Do you know if any reactives chemicals are being used at your facility? If you are working with reactive chemicals, are employees provided and using appropriate controls and protection? Have the equipment and procedure been evaluated for safety? Are employees properly trained and supervised? proper care, maintenance, useful life and disposal. When handling or working near hazardous chemicals, the minimum protection in a laboratory is: a laboratory coat, safety glasses with side shields, closed-toed shoes, and appropriate gloves. If there is a splash hazard, an apron and safety goggles (and possibly face shield) are usually necessary at a minimum. 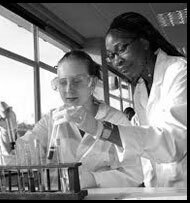 If there is a fire hazard (e.g., handling pyrophoric materials) ensure that lab coats are constructed of Nomex or another fire resistant material. Also remember that PPE is not a substitute for providing your first line of defense: the appropriate use of engineering and administrative controls. With reactive chemicals, specialized equipment, such as explosion-proof shielding may be necessary. Additionally, a written operating procedure may also be warranted. Maintain an accurate inventory of your chemicals in a searchable database, such as EH&S Manager. Make sure these chemicals do not exceed Fire Code limits, and I recommend that all reactive chemicals be reported to the Fire Department in your HMBP inventory (which is not required in all jurisdictions). Conduct a physical inventory of your chemicals periodically (I recommend every two years maximum). 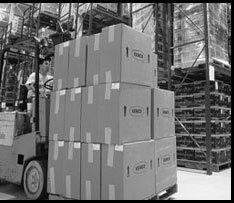 Include in the inventory an inspection of containers and the removal of expired chemicals. 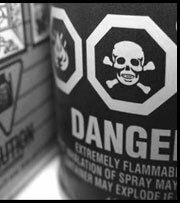 Remember some chemicals (e.g., diethyl ether) can become potentially explosive during storage. Also look for signs of leakage, faded or missing labels, improper storage, and nearby incompatible chemicals (e.g., water bearing chemical next to water-reactive ones). Ensure a safety shower and eye wash are located in an accessible location (requiring no more than 10 seconds for an injured person to reach) in areas where corrosive, irritating, toxic, or tissue damaging chemicals are used. Make sure these have been installed properly, remain unblocked, are tested weekly (note: OSHA requires monthly, but ANSI Z358.1-2004 standard requires weekly) and employees know how to use them. Have a "No working alone" policy and enforce it. New employees are much more likely to be involved in an accident that an experienced employee. For this reason they need close supervision by their supervisor. Remind your managers and supervisors of this. Train and re-train employees and document it. It is the employer's responsibility to provide as much training as is necessary to ensure employees are safe. This generally means that employees need initial and recurring training (in my opinion annually) on chemical safety. There are ways to make the training fresh each year, by asking attendees to all email topics of interest ahead of time. Make sure supervisors and managers are involved in the training. For 17 years, he has been assisting public and private companies to comply with safety, hazardous material management, transportation and safety concerns. He also provides chemical inventory database services. Feel free to contact us at 650-347-0417 or by email. Disclaimer: The information presented above should not be construed in any way as legal advice or an interpretation of regulations. It is meant to provide basic information about topics that may affect clients and colleagues.